The one who is desired of having a home but not able to buy or construct it because of financial reasons then they can apply loan which comes under a home loan. Anyone can apply for the home loan if he or she is having eligibility criteria. These loans will be taken for constructing or buying a new home or renovating or buying a plot for constructing your dream house. The person who wants to take a home loan in EMI should follow the three components which are tenure of home, amount and interest rate. The loan amount is nothing but how much amount we can borrow on a property. Releasing Home Loans in Ameerpet,Hyderbad will depend upon an income of the individuals which may be utilised forty percent from their monthly income. The home loan will be released partially by checking the construction of the house if he is building a house but if he wants to buy a house he can go for a purchase loan. The rate of interest will vary from different banks, so it is better for every individual to check the interest rate of banks before applying for the loans. Tenure of loan can be chosen by individual choices and it can be taken long term but we need to know the clarity on tenure interest, that is there will be a more interest rate in long-term tenure. In, every bank will provide the bank loan but there will be a difference in interest and eligibility criteria. 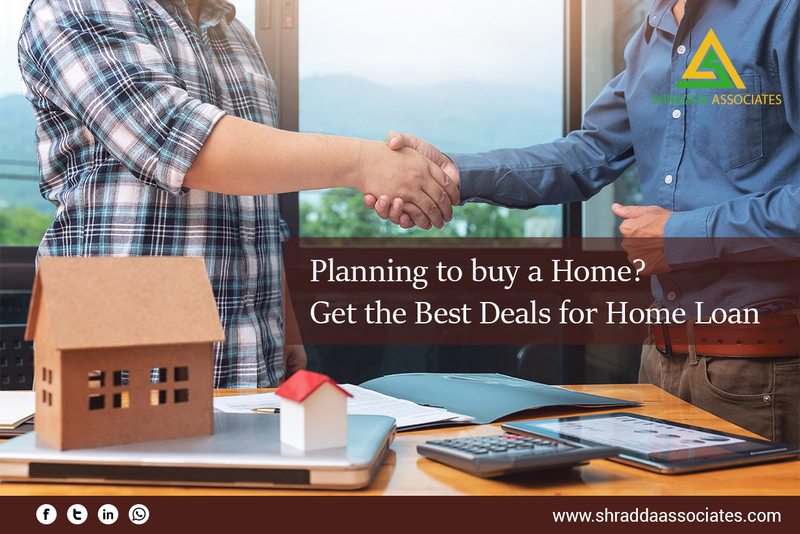 There are many advantages of taking Home Loans in Ameerpet,Hyderabad-Shradda associates there will be a tax exemption benefits up to 1.5 lakhs, the entire process of taking the loan will be easy manner and they help the individual to choose their best plans while taking a loan which saves a lot of time and money. They provide the loan eligibility criteria for employees or self-employees or NRI’s etc. There are the few types of home-based loans like home purchase loan, land purchase, an extension of the home loan, constructing home loan, conversion home loan and few others. The bank will check few factors in giving a Home Loan in Ameerpet,Hyderabad to an individual like age criteria, employee type, financial status etc. The age of the person should be 24 to 65 years. The minimum income should be around 1,50,000 rupees. CIBIL should be around 600 and above. He/she must be able to provide the required documents and keep norms for security purpose. The documents required for applying loans are filled loan application, an identity proof, photocopies, age proof, and residence proof, a certificate for income and property documents which we are keeping for security reasons. The eligibility criteria rules and procedure of applying home loan will be having different in every bank. When we are eligible to apply for the home loans and provide the required documents to the bank then the bank will start following their procedure. They will verify the documents and properties and confirm whether they are eligible or not and then the bank will sanction the loan. Be the first to write the comment.